Today, when you order "Paul Gordon's That's Not Possible blockbuster card trick! ", you'll instantly be emailed a Penguin Magic gift certificate. You can spend it on anything you like at Penguin, just like cash. Just complete your order as normal, and within seconds you'll get an email with your gift certificate. Paul Gordon's That's Not Possible blockbuster card trick! 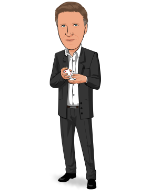 (Instant Download) "One of the best surprises in card magic!" 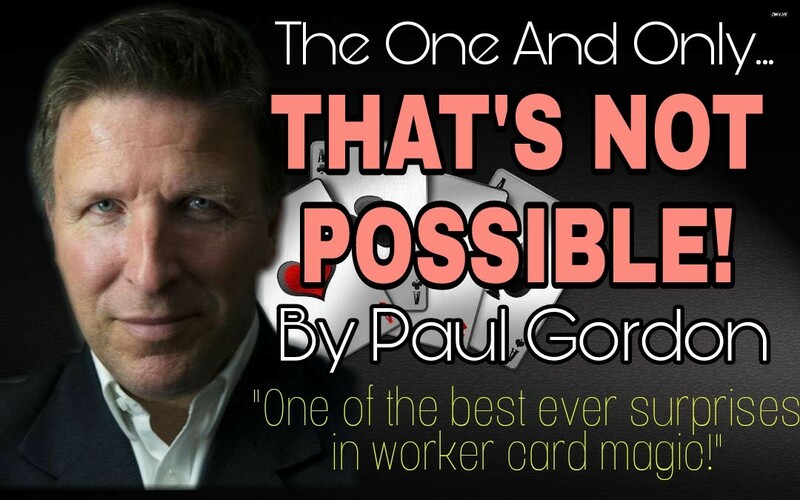 First published by Paul Gordon in 1987, That's Not Possible is back with a better handling. It's pretty easy to do and only uses one well-known standard sleight. Regular deck. All can be examined. Ends clean. The kicker surprise makes this the ideal bar/pub worker. The written instructions are brief, easy to read and concise! You will be USING this routine within minutes. Effect: The Four Aces and Four Kings mix and then magically separate...but with a great kicker surprise ending!